- 3 x 12ml/ 0.4fl.oz. 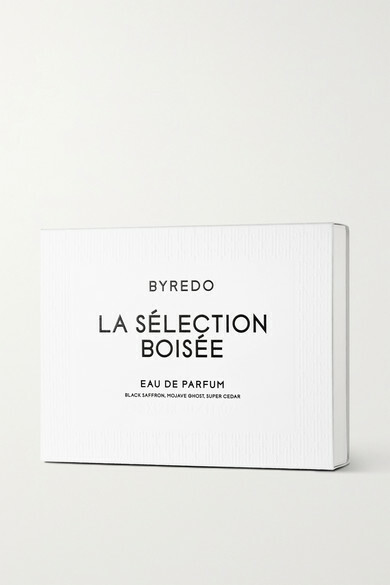 Stockholm native and Byredo founder Ben Gorham is inspired by the fragrances and memories of his mother's hometown in India. Comprised of three core scents in travel-sized vials - including 'Mojave Ghost', 'Super Cedar' and 'Black Saffron' – this set is a great gift for any fragrance connoisseur.